The place where our forebears praised you”. These words from St Peter are poignantly evocative of what many of us might be feeling about our Church in Australia at the moment. Australia is no stranger to ashes…. and not just the ones that pertain to cricket. We all remember the Ash Wednesday bushfires and the many others that have devastated and ravaged our country since. And it feels to me as though our church too, has been ravaged by fire, and that all that remains is ashes. God “kindles” grace in each one of us, according to St. Paul. I looked up the word kindle. It means: to excite; to stir up or set alight; to animate; to inflame; to arouse. God has done the hard work associated with kindling but it is up to us to “keep the home fires burning”, so to speak. Not fires that destroy but those that purify. “Keep The Home Fires Burning” was a very popular song during World War 1 and maybe the lyrics could very well kindle a spark of courage in us now; perhaps a glimpse of hope and an urge to keep going… for keep going we must. And although your heart is breaking. 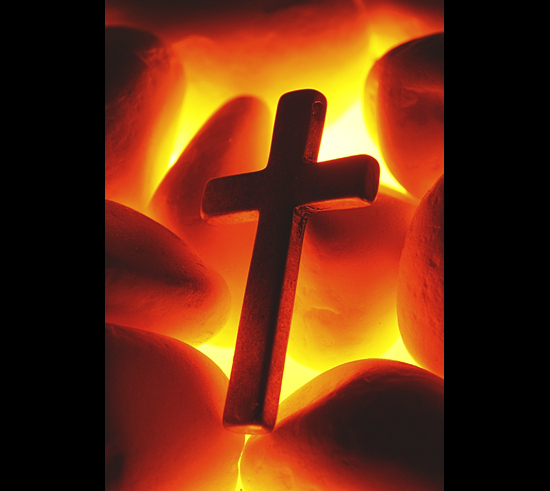 We have been through a refining fire and our hearts are yearning, even as the refining fire still rages. And yes, it is a devastating fire. Devastating. Yet… I am remembering a sight that beheld my eyes years ago whilst driving with another sister to Sydney for a medical appointment. Passing through the National Park, we saw black burnt out trees, kilometre after kilometre of them. But, almost magically, as I looked more closely I saw tiny, tiny little coats of green on the trunks of the trees. 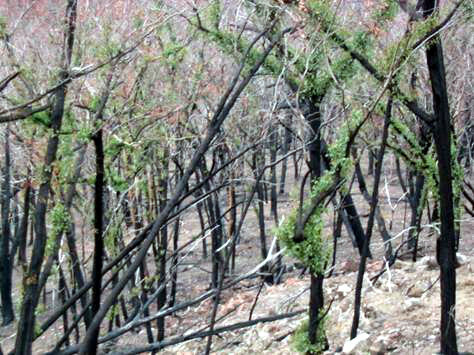 The green against the black trunk was such an uplifting sight, giving hope by revealing that there is indeed life through, and also because of, a refining fire. The home fires that we are now needing to allow God to kindle in us are not the fires that devastate; they are fires that refine. And being refined is always painful. Gold is tried in fire; silver in the furnace. Will we be up to what it is going to take to build a new Church? There is much to unpack from that quote. For now I am simply thinking about the refining fire of proportion in terms of the Plenary Council. Proportionality is critical and ALL must be heard not some more than others… not even bishops! Do any of us have the skills for the necessary listening that is required? Do we have the courage to go beyond what IS and to seek new ways of being Church? We are, all of us, needed and this means that all of us including bishops, lay people both men and women, nuns, young people, priests and those of us who are old have to be prepared to submit ourselves to a refining fire so that we can reignite our Church. Perhaps these verses from the Vespers canticle for Advent will encourage and strengthen us. “Be not angry O Lord, and remember not our iniquity forever. The place where our forebears praised you. Be comforted, be comforted my people, for your salvation now is very near. Why are you consumed with grief, and why has sorrow changed you? Your Saviour is the Holy One of Israel”.